Thanks for your support of our Capital Campaign. We could not do what we do without our ticket holders, volunteers, and donors! 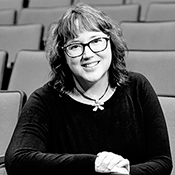 Beth Beaman is the Managing Director of the Playhouse. She has marveled at the support for this community treasure. “I am truly amazed at how much people really love the Playhouse. Everyone has a story to tell of their connection to this great little theater. This is a great community that we live in that really cares about the arts and it has been a pleasure working to continuing the tradition." She and her husband have been involved with theatre for more than 20 years. 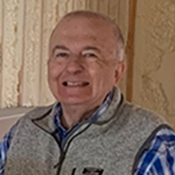 William S. Rafaill is the owner of Rafaill & Associates, LLC, a company that specializes in website development, graphic design, and technology training. He has been serving as the webmaster for the Playhouse since the spring of 2007 and is pleased to do all that he can do to promote the Grand Old Lady, the Howmet Playhouse. He and his wife, Barbara, have a cottage in Stony Lake and have been enjoying the western shore of Michigan and all that it offers, including the Playhouse, since the mid 1980s. Flo Predko has 34 years of experience in the graphic design and printing industry, handling everything from idea through finished product, or just consulting on a small portion of a project. While her design work for the Playhouse rests primarily in the creation of the annual summer brochure, program, and posters, her repertoire includes logo design, brochures, catalogs, banners, sales and marketing pieces, books, newsletters, annual reports, and more. She excels at fitting a project to the customers’ expectations, and finding creative solutions while maximizing options and keeping timelines and budgets in check. 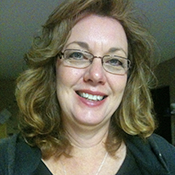 Flo has designed marketing materials and programs for Muskegon Civic Theatre for over 25 years, and is excited to now be a part of the Howmet Playhouse team!